Combined Heat & Power (CHP) is the simultaneous generation of heat and electricity from the one piece of equipment. In much the same way as heat is captured from the engine of a car when the fan heater is turned on, heat that is usually lost in the power generation process is captured and used to make hot water for example. By capturing heat that is usually wasted, CHP results in much higher running efficiencies (in some cases greater than 99%), generating significant carbon and energy savings for the user. 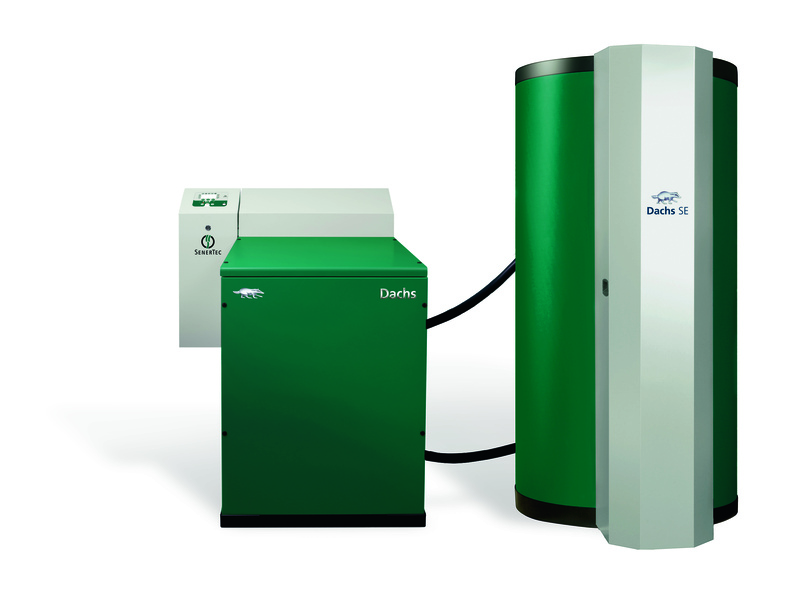 Glenergy supplies the Dachs Micro CHP unit. These are great for small commercial or large residential buildings particularly apartment blocks. Gyms with swimming pools and Hotels also benefit greatly from using CHP. Developed and manufactured by German company Senertec GmbH, the Dachs is a European manufactured packaged micro CHP unit based on reciprocating engine technology. 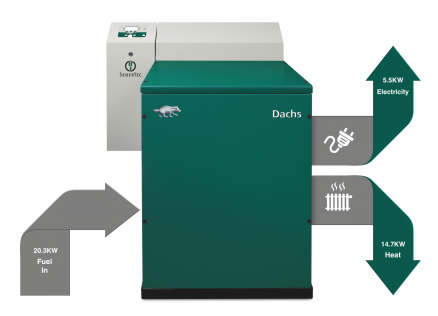 Operating reliably and successfully across Europe for many years, the Dachs is proven technology and has become the number one choice micro CHP. Over 30,000 units have now been installed by SenerTec and its partner network across a dozen countries in Europe. 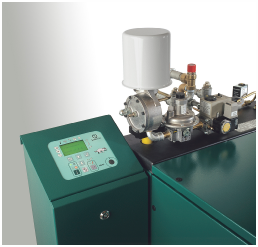 It is Ireland’s most popular micro CHP, having been successfully installed in numerous applications such as nursing homes, fire stations, hotels, office blocks and warehouses. The Dachs was the principle technology that was trialled in a micro CHP trial conducted by SEAI over a two period being installed in 11 of the 13 sites tested. The report of the trial is available for download from the SEAI website by Clicking Here.